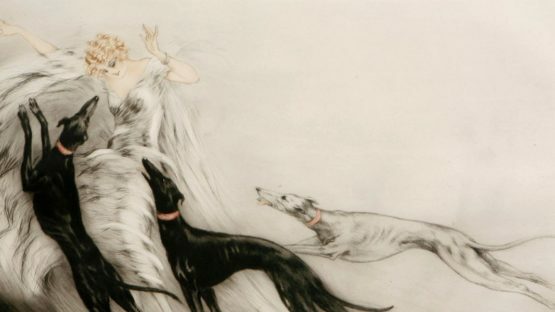 Louis Icart, born in 1888 in Toulouse, was a French artist famous for his paintings, etchings, engravings and illustrations. He began drawing at an early age. He was particularly interested in fashion, and became famous for his sketches almost immediately. He worked for major design studios at a time when fashion was undergoing a radical change-from the fussiness of the late nineteenth century to the simple, clingy lines of the early twentieth century.